Remember the Swagman? 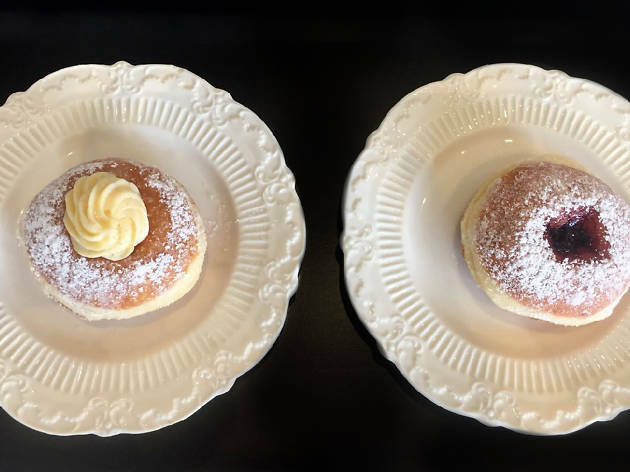 Bringing Vegas-style glitz and glamour to Ferntree Gully, the late, lamented smorgasbord restaurant had two selling points: the can-can sheilas and the cinnamon donut machine. Oh, the innocent thrill of elbowing your way to the front of the crowds to watch the fat dough rings bob in the scalding oil and then plop into the sugar-and-cinnamon tray... Since the Swagman met its mysterious and fiery end, the doughnut has evolved exponentially, producing subspecies that are pimped, infused and even cross-bred with croissants. 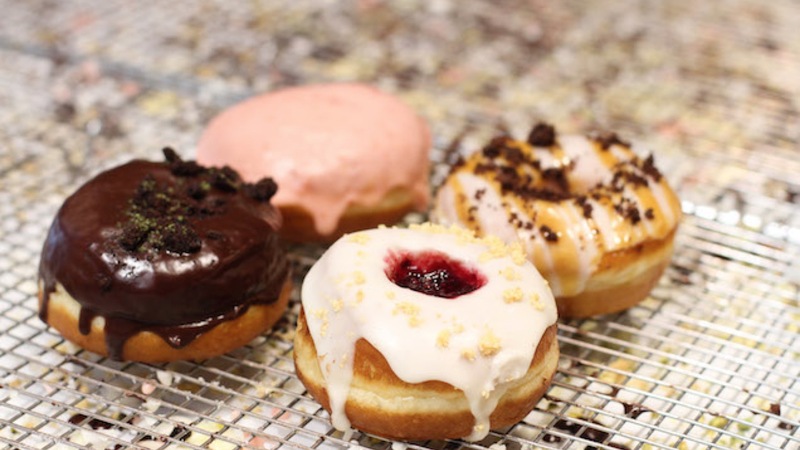 So whether you spell it doughnut or donut, hitch a ride with us as we trawl a dozen decadent dens that will smash your doughnut cravings out of the park. For more sweet treats in Melbourne, check out our guides to the best ice cream and gelato, hot chocolates and pancakes. Hottest hot cross buns, most bread-worthy bread, bestest beef ragù pies… there isn’t much that artisan baker Daniel Chirico isn’t superlative at. 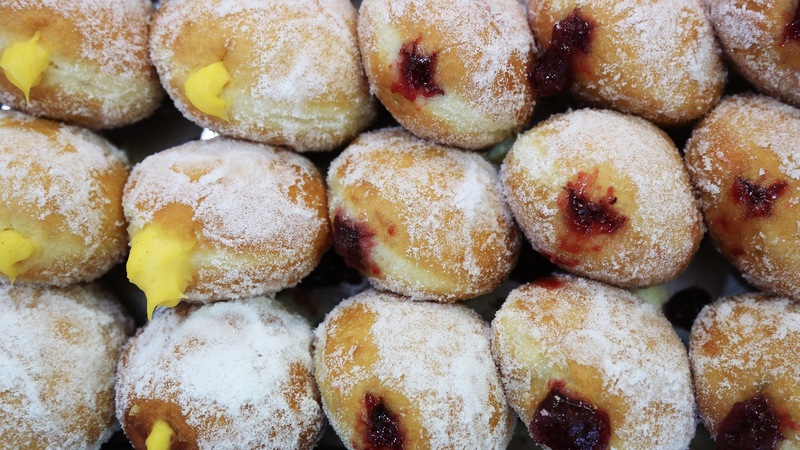 His bomboloni are the bomb: each elegant orb is deep fried to golden perfection and coated in citrus-flecked, crunchy granulated sugar, adding a lovely zing. And, oh, the fillings. One bite and your mouth fills with the silkiest vanilla-bean seed speckled custard. This accomplished donut is $4.20, a small price to pay for a ticket to heaven. 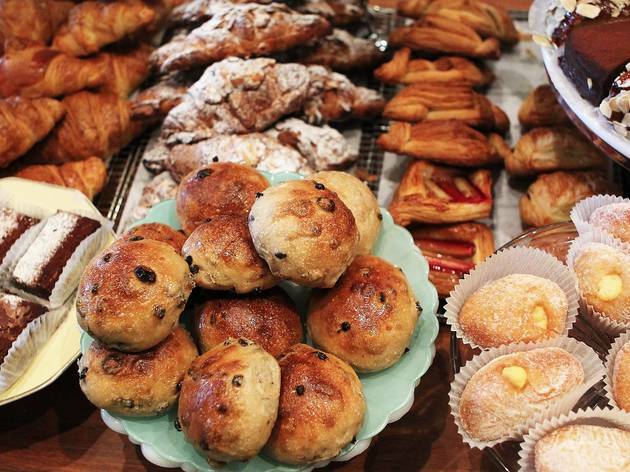 And while you’re in the pretty Carlton shop and admiring the pressed metal ceilings, checkerboard marble floor and undulating wooden shelving, cast an insatiable eye over a countertop naughtily athrob with quiche, mushroom brioche and loaves of gorgeous bread. They're also open in St Kilda and South Yarra. Before opening this small laneway store Anthony Ivey (ex-Market Lane) and Sinye Ooi made an educational pilgrimage to the USA and Canada, and we are the happy beneficiaries of their research. Short Stop Coffee & Donuts, with its blond wood, white tiles and navy blue packaging forming an elegant setting, may be small but it’s steeped in know-how. 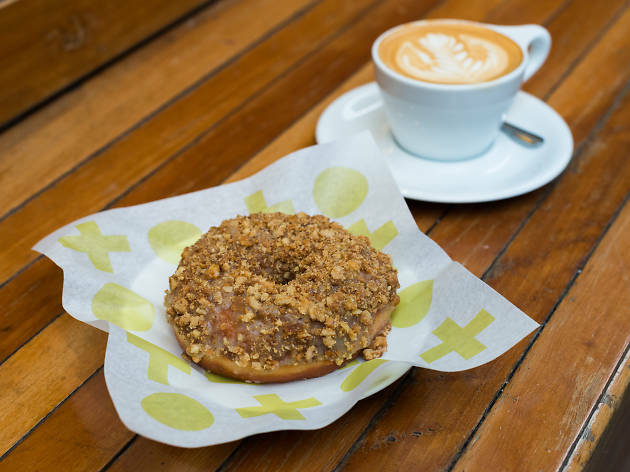 It offers doughnuts in flavour combinations as inventive as quince and mulled wine, mandarin and dark chocolate and sticky date and gingerbread. The signature Earl Grey and Rose cake is utterly gorgeous: Earl Grey tea leaves are flecked throughout the batter and the rosewater icing is subtle and fragrant. Herbal and floral, this memorably cakey doughnut will linger in your memory. 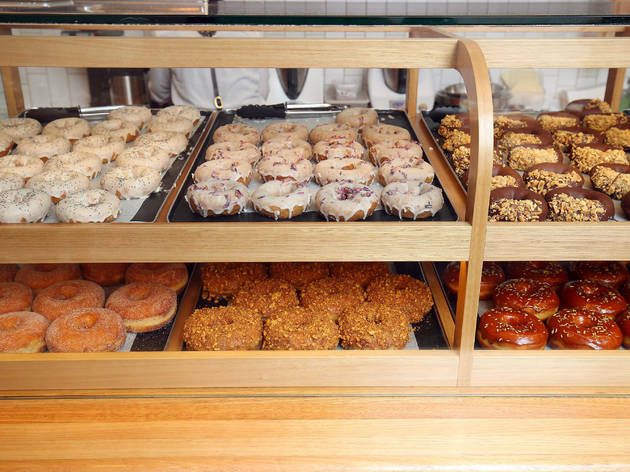 Their peanut butter and milk chocolate donut is another dead-set winner. One nibble of their hot jam bliss bombs shows you why generations have been happy to queue for them. 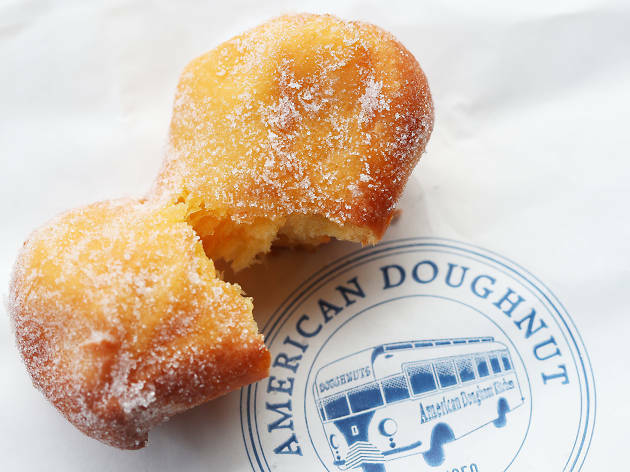 This beloved family business has been operating since the ’50s, and on many market mornings, there’s a line of doughnut devotees peering through the windows of the blue and white van. Staff are busy within, cutting dough, frisbeeing it into the fryer and dusting it with sugar – the recipe is unchanged after 60 years. 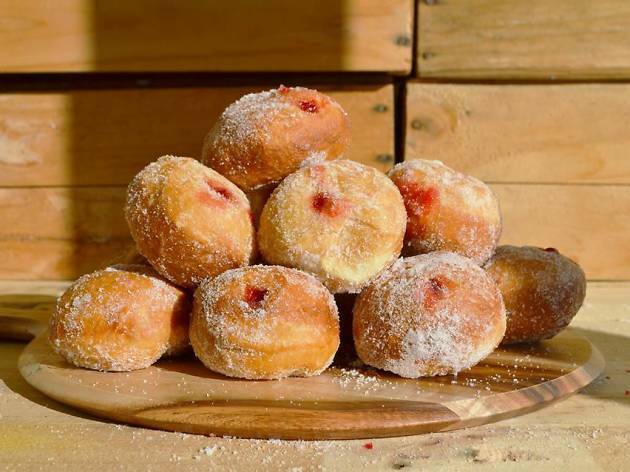 What makes these donuts elite is the heat factor – minimal fryer-to-mouth time keeps them hot and crisp on the outside, soft and pillowy on the inside. Then there’s the shock of molten red jam that threatens to stain your workplace attire. 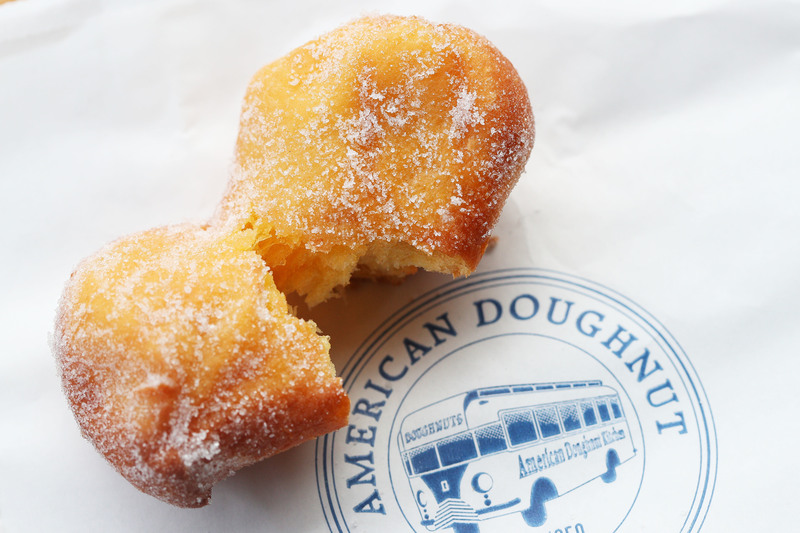 The American Donut Kitchen and its products are authentic classics. May they ennoble the Vic Market for decades to come. 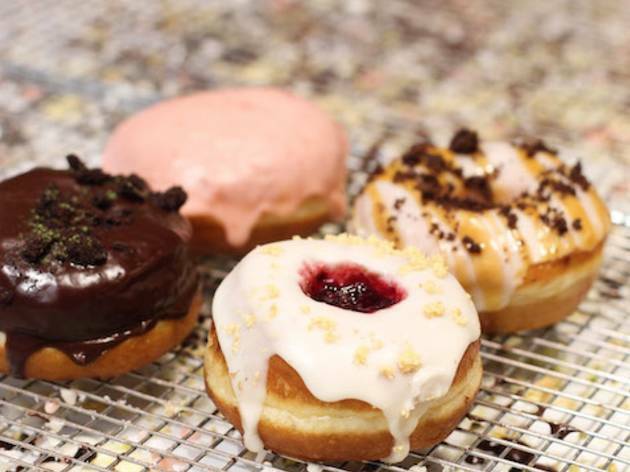 Raph Rashid, begetter of foodtrucks Beatbox Kitchen and Taco Truck, applied his magic mitts to doughnut making and scored a happy hit with All Day Doughnuts. Occupying the same space as fried chicken/Mexican diner Juanita Peaches, the interior is all brown-brick walls, timber panelling and laminex tables, instantly transporting you to 1970s suburbia. But there’s nothing dated about the doughnuts. 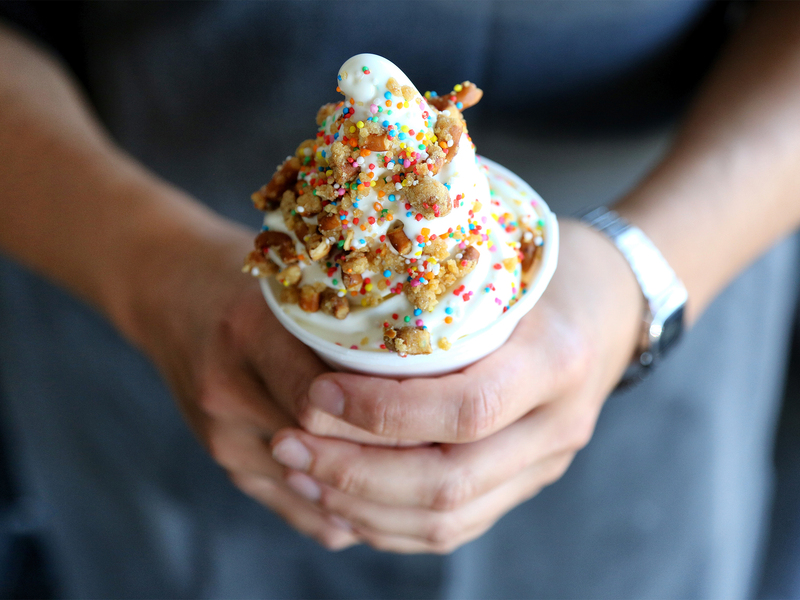 These are churned out twice daily for optimum freshness, with everything (even the sprinkles) made from scratch. 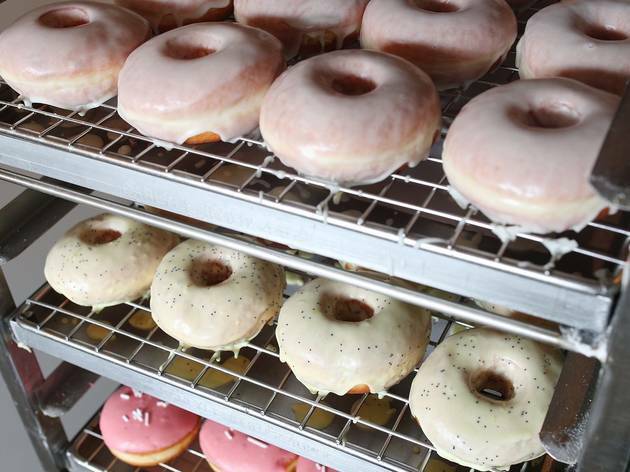 Such dedication pays dividends in the lemon and poppyseed, Iced Vo Vo and original buttermilk glaze doughnuts. 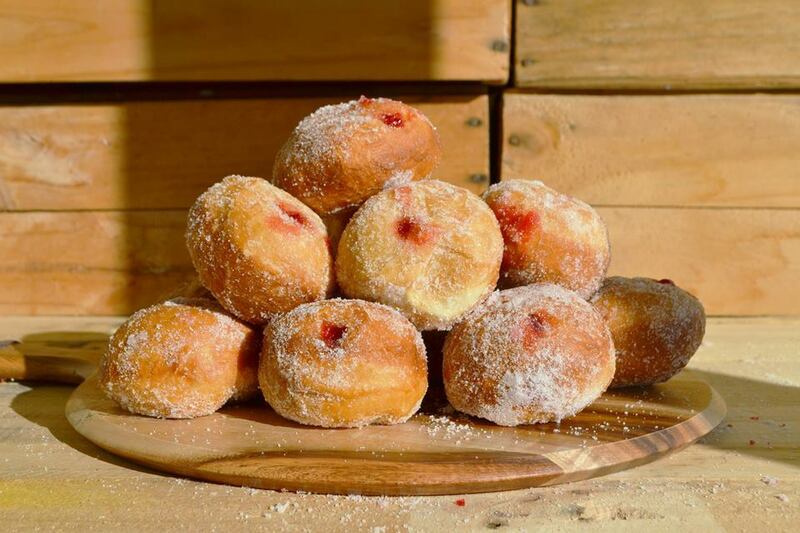 We try the crowd favourite, the strawberry cheesecake doughnut – a big, bouncy, beautiful beast. The strawberry icing is surprisingly natural tasting, with white sprinkles delivering a sugary crunch and rich cream cheese filling. Also worthy of note: the Don Homer is a gorgeously garish, pink homage to Simpson’s do(h! )nut of choice. Most sixteen-year-olds are preoccupied with Snapchatting, keeping the olds off their back and wondering what’s for dinner. Not Morgan Hipworth. This entrepreneurial teenager was an avid cook from very young age, and prodigiously graduated to supplying his local café with cakes and slices. Asked if he did doughnuts, after some nifty experimentation, he soon did. The next logical step was his own doughnut shop, and Windsor was the lucky location. While his peers struggle with Maths Methods, Morgan scrutinises spreadsheets and develops new flavours. 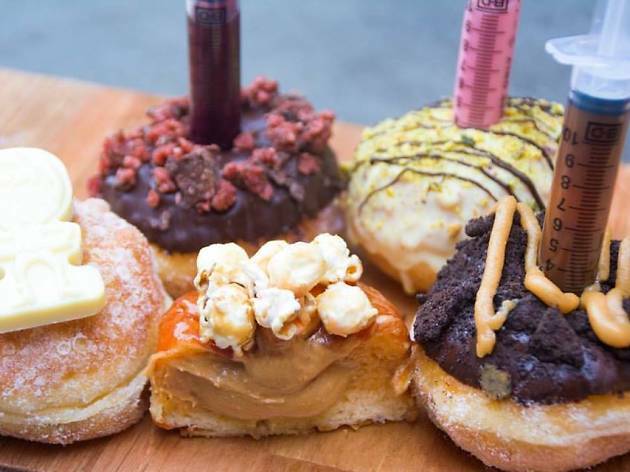 Bistro Morgan is known for playful, syringe-loaded donuts topped with smashed cookies, Smarties, Fruit Loops and marshmallow. But it covers more sedate options too, such as cinnamon, jam and salted caramel. Flavours rotate but the Golden Gaytime Crunch is a store staple. It’s easy to see why. Coated in dark Belgian chocolate, covered in smashed honeycomb crumbs and impaled with a syringe of salted caramel, its wicked richness is not for the faint of heart. Pair it with a ‘pimped-out milkshake’ or get the ice-cream sandwich version for a sticky summertime treat. Can there be a delicacy more democratic than the donut? Daniel’s is the people’s doughnut dispensary. 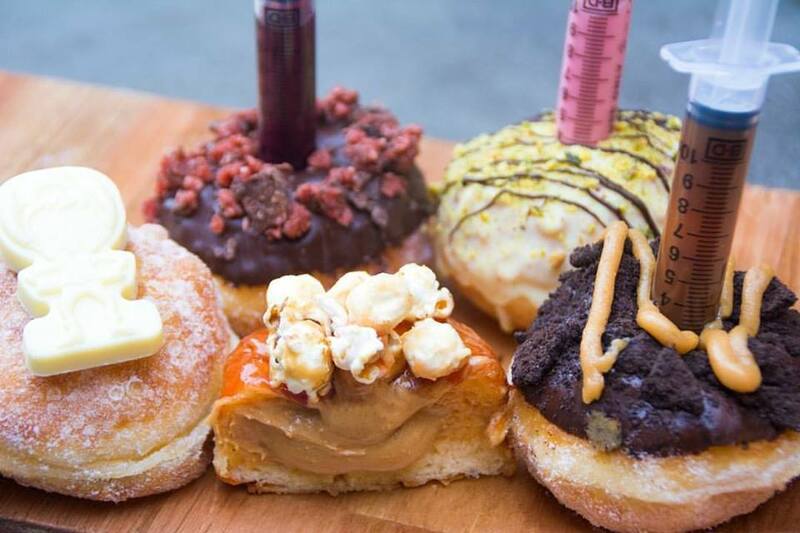 Affordable (any six for $18) and open 24 hours, it expertly covers the classics – jam and glazed – and the cutting-edge: Nutella M&M, Tiramisu and the whole-Snickers-inside ‘Snickers Podnut’. 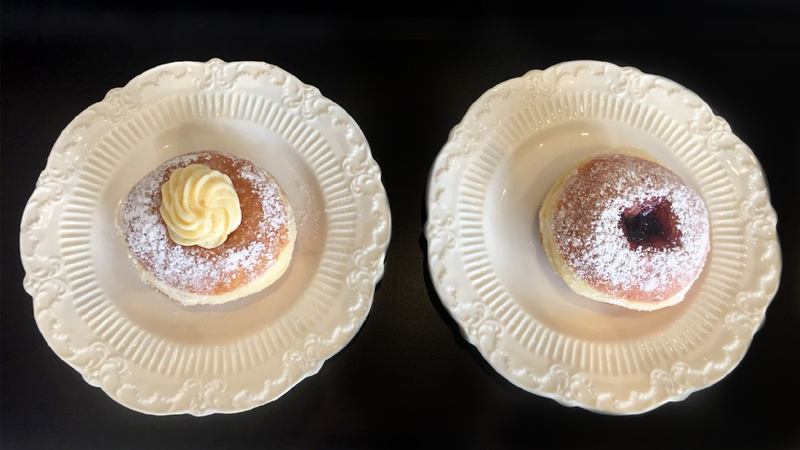 While unlikely ever to be available on a doctor’s prescription, all of Daniel’s creations are seriously feelgood; but, after extensive and rigorous testing (and retesting), we declare the old-school jam-and-cream donut to be champ. Airy and sugar-coated, it’s sliced vertically to create a deep trench for the fluffiest cloud of cream and a dollop of strawberry jam. Yes, it’s sweet, but never is it sickly. 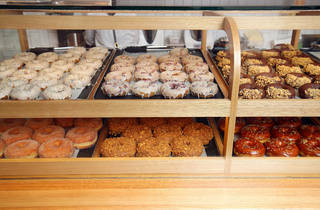 And a pro tip for doughnut care: Daniel’s staff keep the box lid ajar so the cream stays intact. Surrounds are clean and functional, the service is speedy and efficient – good to know when the line’s snaking out the door. 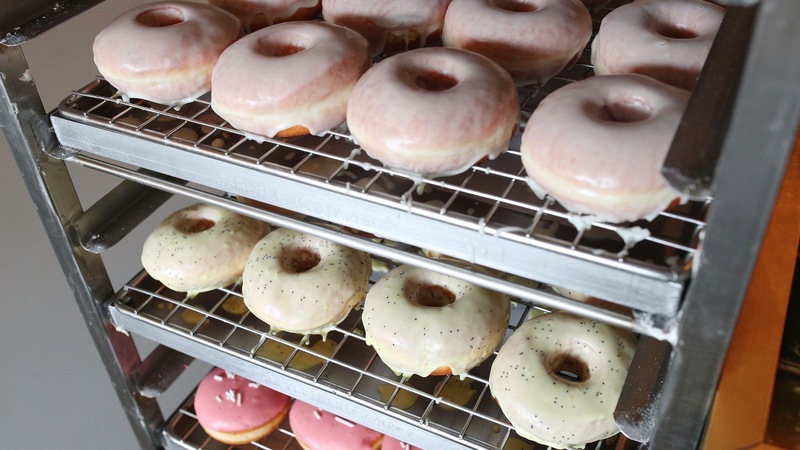 Doughboys began life in 2013 in the modest environment of Walter McKenzie’s mother’s laundry. It was here that McKenzie and business partner Brook James created their donuts, selling them at markets and pop-ups to critical acclaim. 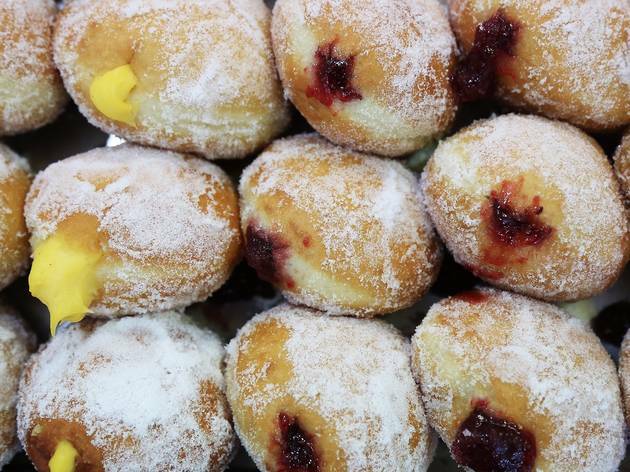 Last year, Doughboys found a permanent home at the business end of Bourke Street, and office workers rejoiced. Its classy good looks – a curved timber counter, black-and-white tiled floor, pendant lights and glass cabinets – offered a sugar-lanche in Euro-chic surrounds. Flavour-wise, intriguing combinations of Asian ingredients result in strawberry and miso and coconut pandan to Piña Colada and pumpkin pie pop up gloriously among the rotating flavours of the day. 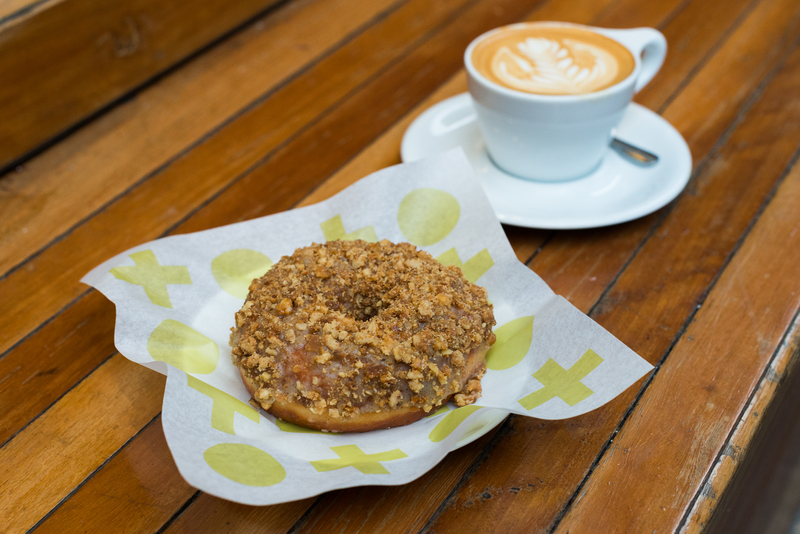 The French toast doughnut is a pillowy ring with a slight yeasty twang topped with cinnamon-flavoured crumble that’s dusted with icing sugar. Moreish and bouncy, it slides down all too quickly with a Small Batch (roasters) coffee. If you’re over west side, gird your tastebuds for a treat. Candied Bakery (winner of Time Out Melbourne’s People’s Choice: Best Bakery award) is an Aussie bakery with an American and European twist (expect glories such as Philly cheese steak rolls and soft serve ice cream). Never has American know-how plus European dough-how equalled such multiculturally magnificent donuts. Key sub-genres are confidently covered, from the classic jam to more playful diversions like the vanilla slice and the salted caramel crumble. Their raspberry pavlova is a voluptuous, cream-filled doughnut coated in a pink berry-coloured icing with smashed meringue shards on top. It’s a quirky creation whose tempering of sweet meringue with the tart raspberry shows both skill and imagination. Chase it all down with an apple pie shake (several meals in itself) then roll out of the shop for a quiet lie down. Sweet dreams are made of this. You like crème brûlée? You like Nutella? You like donuts? If you answered yes to any of these, get thee to Rustica. Their pert little sugar-dusted number is filled to the gills with Nutella and glazed with a crème brûlée topping. Use a knife and fork or just use your paws: what counts is the moment this rich and viscous Nutella charmer sends you into a sugary hazelnut coma. 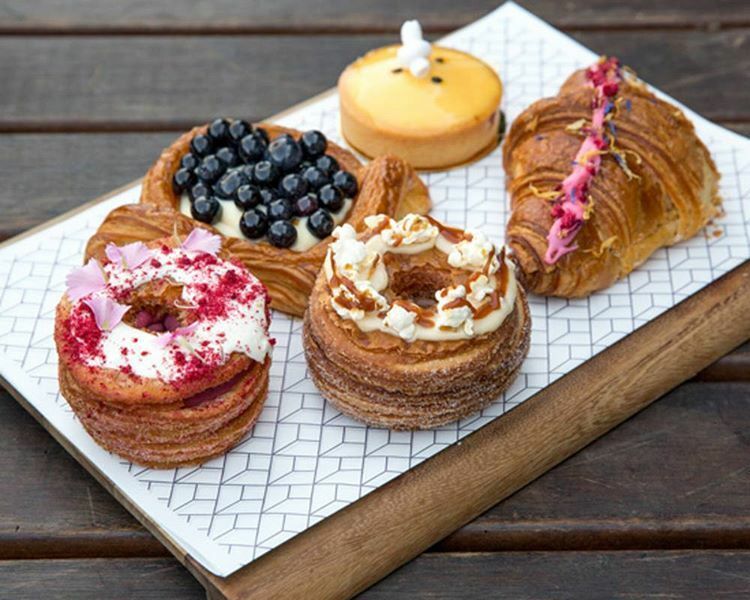 For something a shade lighter, Rustica's pretty strawberries-and-cream donut, topped with freeze-dried strawberries, is just the job; and if you want light and flaky, look no further than the lime and coconut cronut. 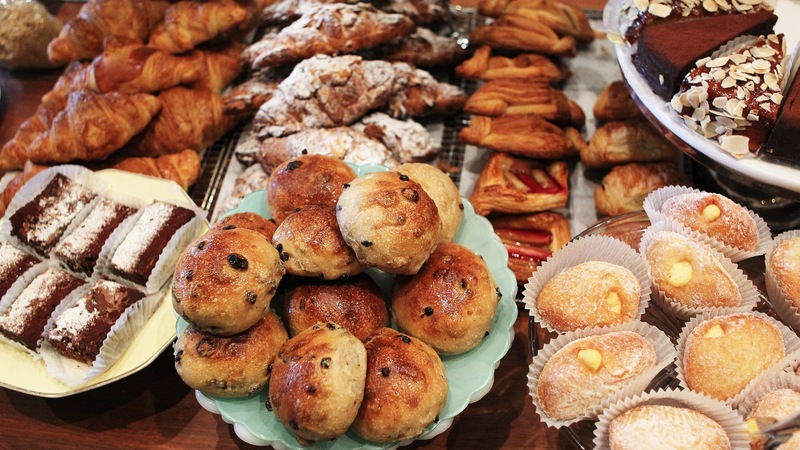 This lovely, long white bakery café, with gracious service and beautiful baked goods, is a pleasure in itself to visit. How could any donut roll of honour not include this doyen? 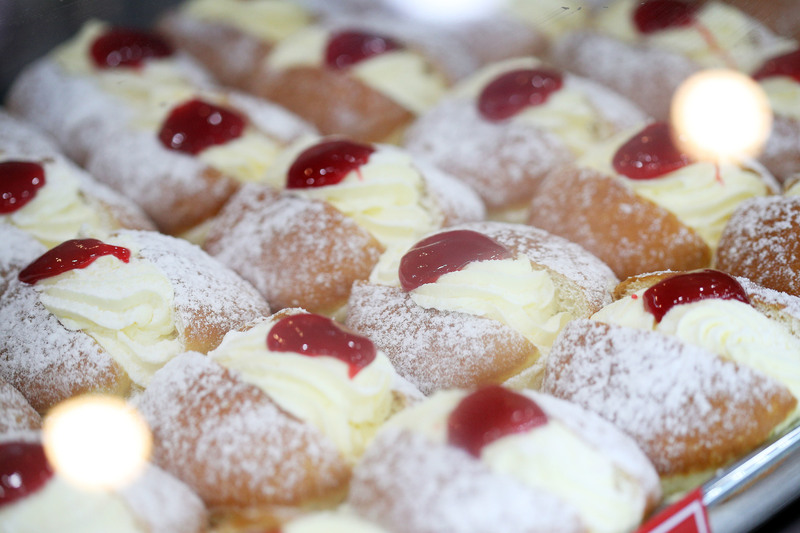 Owner Susan Bell’s parents started Dandenong Market Donuts in their backyard in the late ’60s. 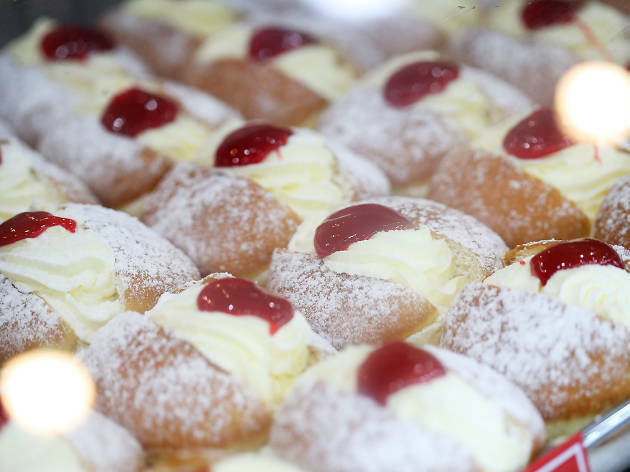 Their famous purple-and-gold doughnut van still trundles around Greater Dandenong, bringing hot jammy joy to the masses. Dandee’s piping-hot wonderballs are fresh from the oil (but are far from oily), coated in crunchy sugar and brimming with strawberry jam. Their Nutella is also a life-affirming variation, its filling beautifully softened from the heat of the oil. For competitive munchers with the constitution of a rhino, the annual Dandee Donut why-stop-at-20 eating competition is a glory-glazed sporting phenomenon.